Defenders of the great white north. Nana had a good war. The internet ruins everything that needs to be ruined. I’ve always been a fan of Conan O’Brien, but never really watched his tv show; generally I’m up to other things at 11:30 or later.Â I watch the good bits online, because I am one of those internet people who are ruining everything.Â But I took note of the news about the Tonight Show controversy with interest; I saw it as ringside seats on the big bout between old media and new; the online voice came out strongly in support of Conan, and Jay Leno, a representative of the old guard in essentially every way, came out looking like a villain. 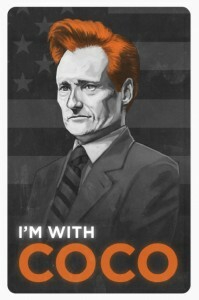 But he got his show back, and Conan rode out of NBC with his dignity, his talent, and the hearts of everyone under 40. So it’s not news that the big guys, be they record labels or tv stations or newspapers or media conglomerates, have lost their game and can’t seem to get it back.Â Talking to an acquaintance who works on the fringes of a major record label, I hear the same worn-out melodrama – piracy is ruining everything.Â I was surprised that anyone still thinks so; certainly, none of the musicians I’ve spoken to seem to be worrying about piracy – in fact, most of the smart ones are giving songs away for free.Â The more I look around, the more I see the big labels and the media that serves them as impediments to success, unless the planets align and you happen to be one of the slender minority of mega-stars that they’re willing to push. 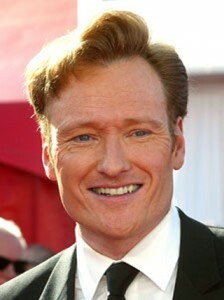 Conan O’Brien, as part of his exit deal, agreed to stay off tv for a few months while Fox consolidates its audience for a renewed Jay Leno Tonight Show, a move that makes sense in the old media paradigm.Â They don’t want Conan mocking them from a platform like The Daily Show, or stoking the furnaces of the internet love/hate machine.Â They want to slow his momentum in the only way they know how; by keeping him off of the airwaves.Â But while he can’t appear on television, Conan’s not about to sit and stew; he’s got the momentum of the internet behind him, and he’sÂ channellingÂ it into a terrific idea -Â Â a live tour. I’m not excited because I want to go to these shows myself – I’ve never been a fan of big-venue shows, and I can’t seeing myself queuing with a gazillion other people for the chance to see a tiny Conan O’Brien be funny at a distance of several parking lots.Â But I think it’s exciting, because it’s so smart, Â so progressive.Â In this brave new world, you can only really sell what can’t be easily controlled or duplicated by a third party – essentially, yourself, your physical presence, the things you’ve worked on with your own hands. I know I’ve gone on about this before, but it excites me.Â North America has spent a good couple of decades huddled in our homes in front of glowing boxes, and while I love tv and the internet, they’re never, ever going to get close enough to touch my love for live performance.Â As someone who goes out and sees a lot of shows, be it theatre, dance or music, I know I’m in the minority, and I think it’s a damn shame.Â I believe humans crave connection; we’re herd animals, and anyone who’s ever been to (or run) a good music venue or Â festival can attest that the music is only about a quarter of the equation, the hook that gets people interacting in a space together.Â I think that, as a culture overÂ theÂ past 30 years, we’ve forgotten how much we crave and are inspired by face-to-face interaction. So to see a tv star with the sort of name recognition of Conan O’Brien setting himself up to be with his fans in live, physical spaces around the world, it fills me with hope.Â I think we’re going to be seeing a lot of this sort of thing in the future, as bigger stars start to pull away from old-media ideas and conditions and start moving into the future – a future where those large, central cultural clearing-houses crumble and make way for smaller, regional groups that can connect with the world with fewer resources. Â Watching OK Go leave EMI this week, and Conan hit the road for a live tour, it seems like a great time for those of us who long for diversity in our culture, who don’t love the monoculture of the big media outlets, and who understand the importance of the experience of live art. It is, honestly, an exciting time to be down at the grass roots, a hopeful time to be an artist. Â We don’t get a lot of that, so I’m going to celebrate.